Increasingly, hospitals and medical centers are moving away from traditional up-front medical equipment purchasing toward a variety of more flexible paradigms. At the same time, medical device manufacturers are starting to realize the potential of the software that resides in their equipment. This embedded software enables Pay-Per-Use (PPU) and other flexible pricing models, which open up new business opportunities. How Long Will It Take to Get Up and Running? How long will it take to get up and running? Without a doubt, this is the question I get asked the most as a software licensing solution consultant. Instead of simply giving you the obvious answer nobody wants to hear (yes that answer is “well, it depends”) I will simply answer the question. Sentinel Cloud Wins CODiE Award for Best DRM Solution! 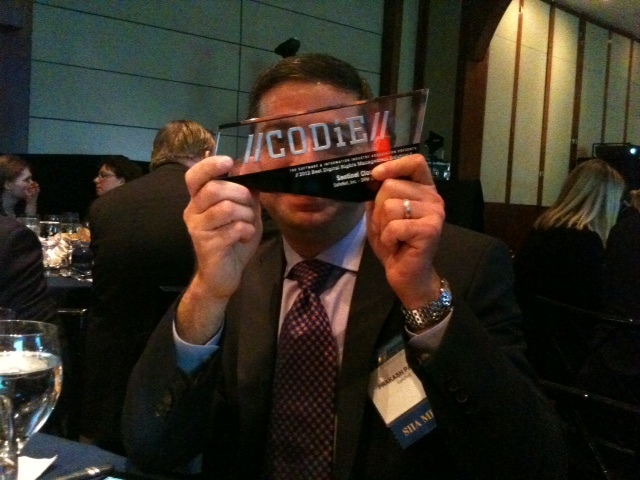 Last night, the Software and Information Industry Association (SIIA) announced the winners of the 2012 CODiE awards – an awards program 27 years in the making dedicated to recognizing excellence in the business software, digital content, and education technology industries. I am pleased to announce that SafeNet’s software licensing and entitlement management solution for cloud services, Sentinel Cloud, was awarded the industry’s Best Digital Rights Management Solution CODiE award! We’re cloud-bound and moving full steam ahead! Earlier this year, we transitioned from Beta and announced the general release of our Sentinel Cloud Services. Since then, our focus has been devoted toward customer evaluations and updates for upcoming releases.